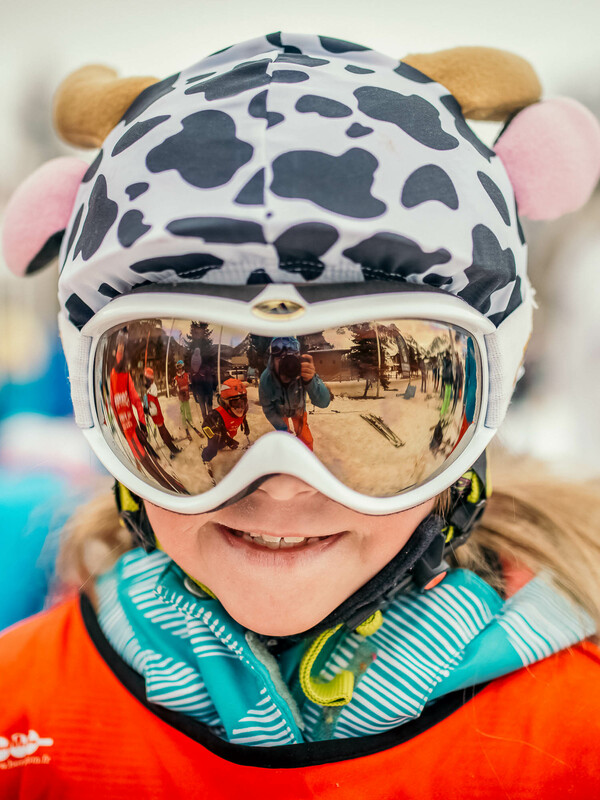 Opt for the out-of-peak rush and make the most of our Magic Fun Factory Afternoon Children’s Ski Lessons in La Plagne. Ideal for those aged 3 to 12, these inspirational sessions run Monday to Friday from 14:45-16:45 until 10th Feb, when we’ll switch the time to 15:00-17:00. Learning in small packs of no more than 10, we teach solely in English and encourage safe, expert technique to build confidence and passion from the word go. Jam-packed with top techniques, snow-filled laughter and games, they’ll love learning with Oxygène this winter. 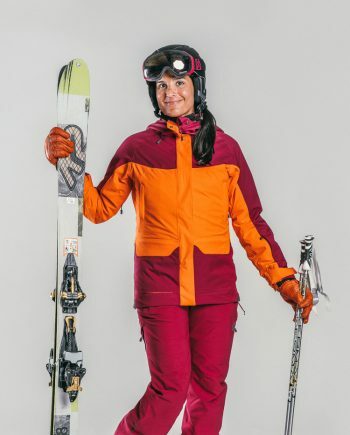 Did you know you can now rent ski outfits? 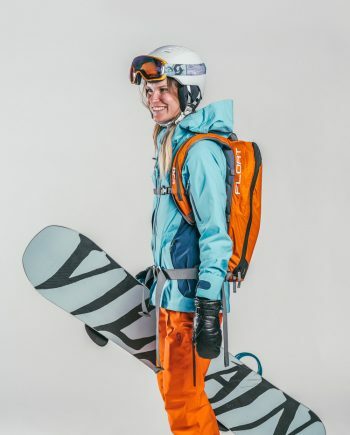 No need to buy a new outfit every time they grow, these outfits are warm, waterproof and practical and are delivered directly to your accommodation. A supervised sit-down lunch in a restaurant available for kids from 5 to 12 years old from 12.30 to 14.30 for €30 p/day. Choose either 5 days from Monday to Friday or 6 days from Sunday to Friday. All children must wear helmets. €18 p/week. 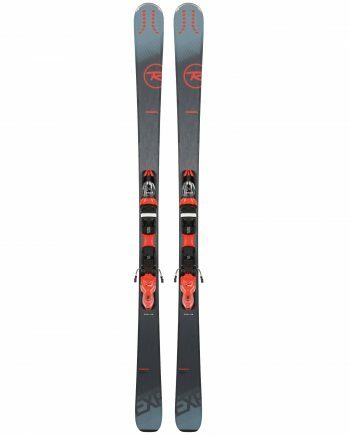 Skis & boots for €56 p/week. Collection from our shop in Plagne Centre. NB: A free shuttle service is available, phone our shop when you are in resort. Book now with your lesson and get an automatic 30% discount off our in store price. Choose this option to insure your equipment against theft or damage. €9 p/6 days. Stress free equipment storage at our Oxygène shop in Plagne Centre! 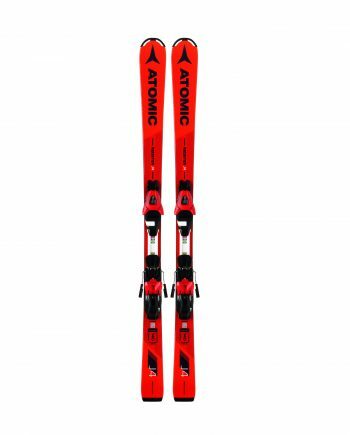 Leave your skis, boards, boots and helmet with us for €15 p/week. Arriving on the Saturday? Great. Book 5 lessons with us and your kiddies can get ahead of the class with a Sunday lesson thrown in at no extra cost. 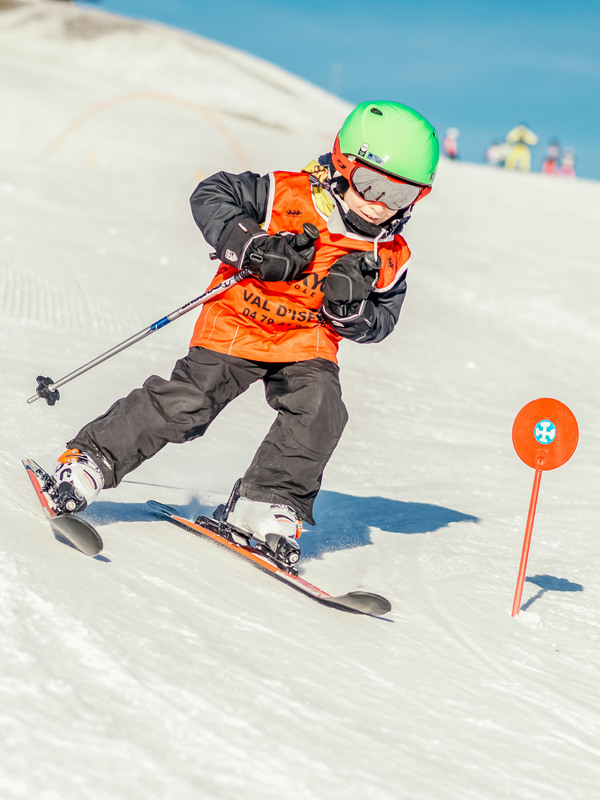 Catering for all ages and abilities, we divide our Children’s Ski Lessons in La Plagne into 10 different levels. Choose from beginners’ basics to advanced ski pros on our level finder. For big results, we keep group sizes small with 8-to-10 kids per instructor. Oh, and to stay close together at all times, we like to colour-code with bibs. Hush those rumbling tums and dig into a well-deserved pitstop and scrummy mountain-restaurant meal with our popular Lunch Club in La Plagne. Suitable for those aged 3+. Afternoon group lessons take place at 2.45pm to 4.45pm (3pm to 5pm after the 10th February), from either Sunday or Monday to Friday. If you choose to start on Sunday, you get your Sunday lesson at no extra cost! We have 10 different group levels available for children, ranging from complete beginners to advanced teenage go-getters. Our children’s group sizes are small allowing for a more personal learning experience. They generally range between and 8 and 10 children per instructor. Our Lunch Club is available for children from 3 years or older taking Children’s Ski Lessons in La Plagne. Included is a sit-down hot meal in one of the local restaurants. Our children’s ski school meeting point is easy to find on the snow front opposite Les Cocottes restaurant and just below the Colorado chairlift in Plagne Centre. You cannot miss our Oxygène flags. Plus all our instructors wear bright blue jackets. Your children will be given a bib corresponding to the colour of their flag. Our Children’s Ski Lessons’ meeting point is nestled on the snowfront in Plagne Centre – just below the Colorado chair lift and just above the Les Cocottes restaurant. Look out for our Oxygène flags, blue uniforms and big smiles. And because our group lessons start at 10am, you even make the most of first lifts and get a few runs in before joining the lesson. Well… practise makes perfect. 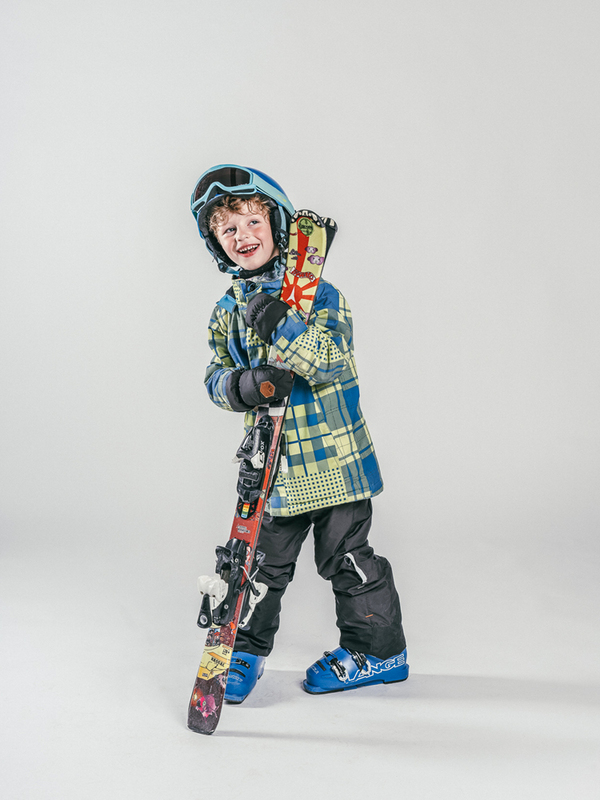 From Brown Bears to 1st Ski, we like to make sure your child is always in the right class. Simply click on our Level Finder and select the best fit based on their previous ski experience. Not sure? That’s okay; feel free to call or e-mail us to discuss further. And remember, our instructors review abilities during the first lesson and throughout the week so we can regiggle on the slopes if necessary. If you’re looking for value and style, opt-in for our Children’s Beginner Pack. 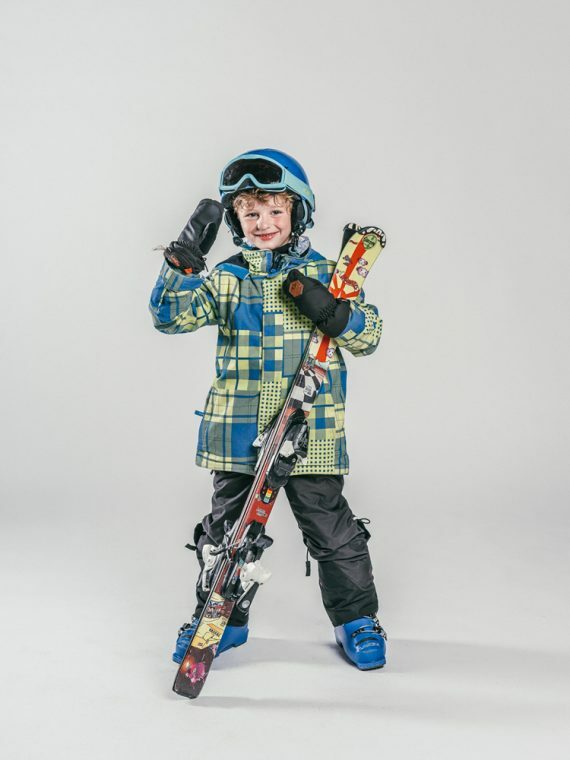 Designed especially for 5-to-12 year olds and perfectly matched with Brown Bear and 1st Ski Children’s Ski Lessons in La Plagne, it’s fit for 5 to 6 mornings of ski school and even includes the lift pass. Enjoy lunch at your leisure and make the most of our Children’s Lunch Club. Providing the perfect pitstop, and available everyday across each resort, we dish up scrummy grub in a safe and social setting. Start smart and do your homework. To find out exactly what to expect from your Kids Ski Lessons in La Plagne with Oxygène, including insider tips and tricks on how to prep and what to wear, check out our blog.